JEWISH MUSIC ROCKS – we continued this Shabbat morning with a very recent (August 2014) song praying for a better world – for peace. The video is followed by YouTube notes upon the songs release. Y’hi shalom becheilech shalvah be’arm’notaich. August 15, 2014 (New York, NY) — Let there be peace on earth; let it begin in me… for love is all we need. Moved by a summer of pain and suffering in the Middle East, at home and around the world, Neshama Carlebach and Josh Nelson have responded in the form of a prayerful, riveting and emotionally raw music video, produced by Josh Nelson. Musical artists with a lifelong commitment to Israel, trans-denominational appeal and a message of unity for the Jewish community and the world at large, Neshama Carlebach and Josh Nelson were compelled to record the legendary melody composed by the late, great Rabbi Shlomo Carlebach in the midst of the violence in Israel and Gaza…and in the face of the resurgence of anti-Semitism around the world. Individually and as a creative team, Neshama Carlebach and Josh Nelson perform widely across the denominational spectrum of Jewish life and in secular venues as well. 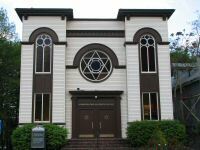 Deeply invested in Jewish Peoplehood, they are spiritual role models in their community. As such, they felt the urgent need to call for peace and love in the middle of this time of unprecedented conflict, they said. “We believe that all people have the right to live their lives without fear, and when we decided to speak up, we knew of no text more poignant than this prayer for peace,” said Josh Nelson. View the video here: http://youtu.be/5zQK6-Z6gQw. For more information on Neshama Carlebach, Josh Nelson or the making of “Y’hi Shalom,” please contact Shira Dicker at shira.dicker@sd-media.com or 917.403.3989 or visit http://www.neshamacarlebach.com and http://www.joshnelsonproject.com.